My childhood friends from Paris organised a long week-end alternating wine tasting and fine dining in Burgundy, France. While my Aussie friends are spending this beautiful summer at the beach, here we cope with late Autumn and enjoy what the region has to offer: culture, tradition and Michelin stars. 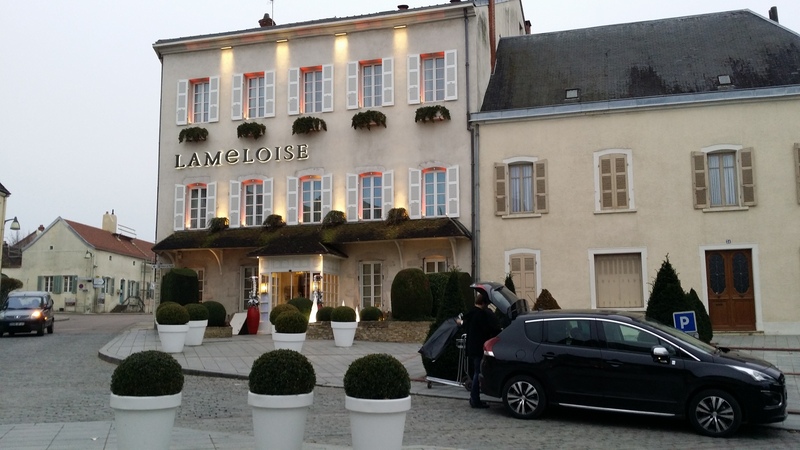 On the Saturday night, the climax of the week-end was dinner at la Lameloise, a 3 Michelin star restaurant, no less. We decided to spend the night on site so that we could drink away and really enjoy the whole experience. This post is about the Hotel, more on the dinner here. Afternoon tea bites: delicious little cakes and chocolate things. I haven’t had much as my kids finished the plate in no time! 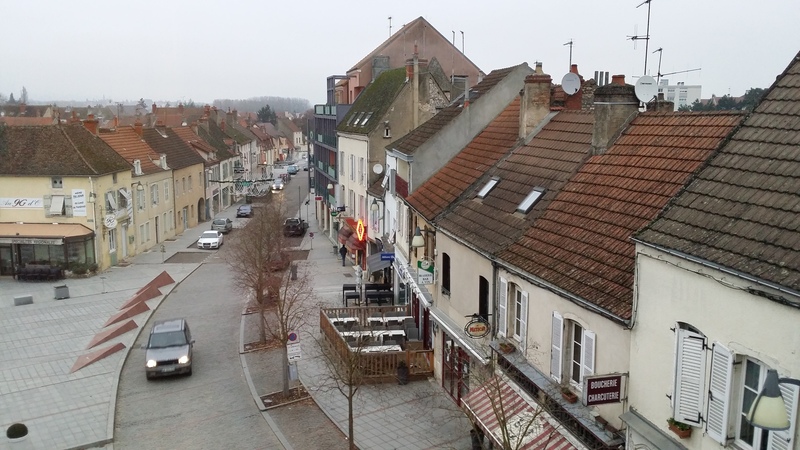 We stayed in room 22 which had a view on the Chagny’s central place. There’s a market there on Sunday from 6am to 4pm, we were quite impressed by its size given it’s located in what we thought was a village! The room was spacious and they had unfolded the sofa bed so the kids could sleep together. We were happy with this 215 euro option and didn’t feel the need to upgrade to a Junior Suite. There was plenty of space and the toilets are separated from the bathroom with marble floor and a big bath tub. 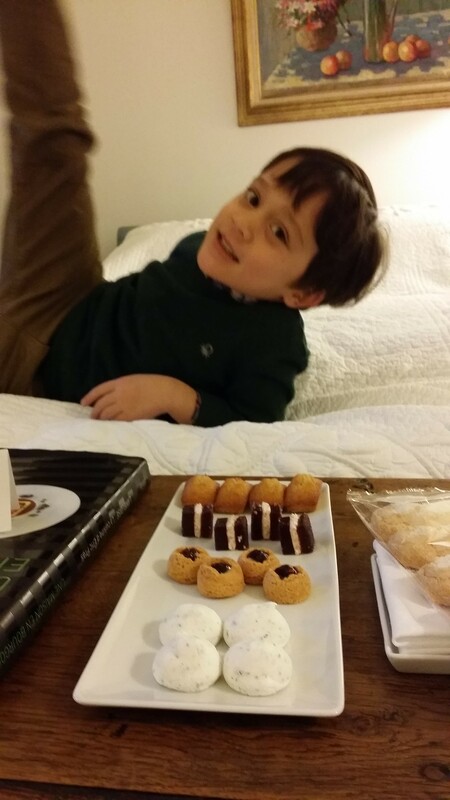 Afternoon tea platter compliment of the hotel and happy kid! The 4 star hotel service that makes you feel at home and very comfortable. 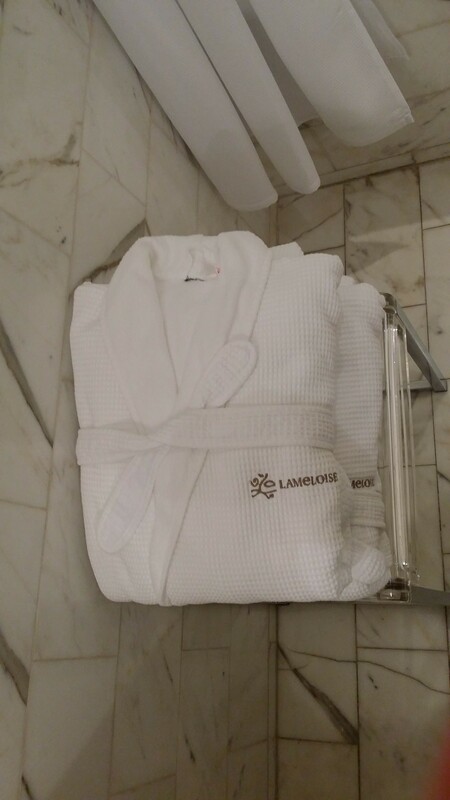 They had helped us on the phone and via email to find the best room option for the four of us and everything was really smooth with nice surprises and attention like a bag with 3 bottles of mineral water when we checked-out to make our trip back enjoyable. 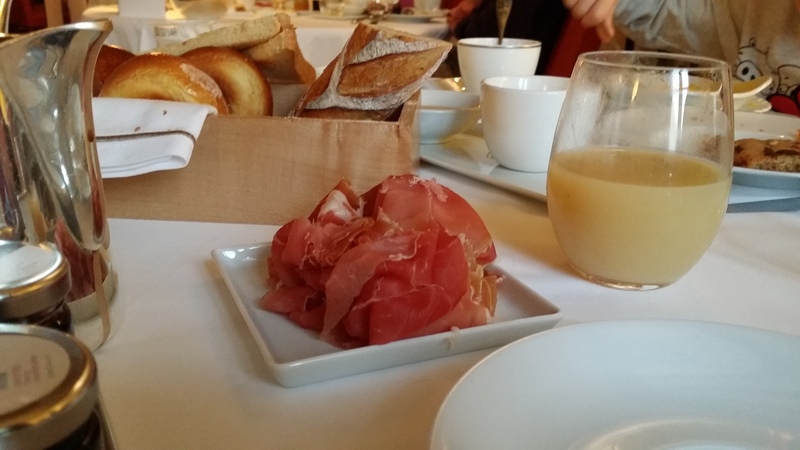 Similarly at breakfast they happily provided a box so I could place the sandwiches I made with the left over brioche, famous butter and freshly sliced prosciutto. In fact on arrival I was expecting to find a buffet but all was served at the table for 26 euros per person and they didn’t charge us the kid’s breakfasts although they had hot chocolate and eggs. 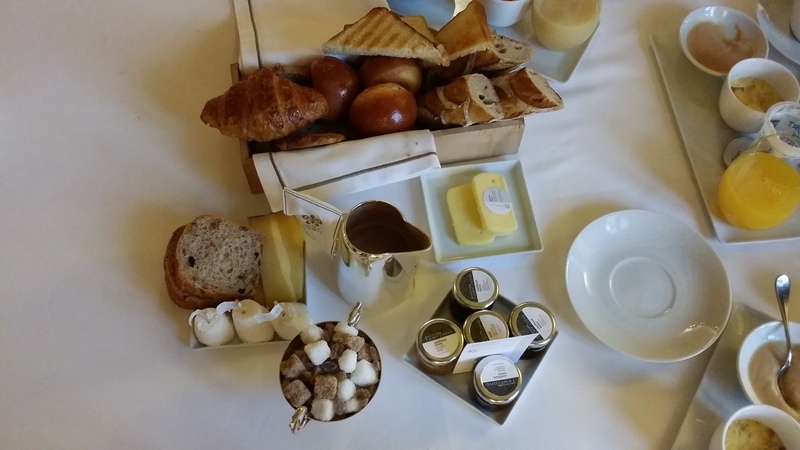 The only thing that wasn’t perfect is that we had to rush for breakfast as it was only served until 10am and we felt like sleeping in as our 3 star dinner experienced finished at 1am the previous night. kids friendly attentions: free kids bedding and breakfast, they even cut the kids’ meat over dinner! We’d definitely go back and recommend it to anyone. Market actually starts at 7, at 6 they start installing their stalls. The kids were playing next door with a tablet and at one stage, a waiter came back holding the tablet while our younger (it was his tablet) was following him. As the food was ready, he was bringing him back in. I was surprised by this nice attention. The food was great and really enjoyable from the amuse bouche to the mignardises. It was fresh and the flavours and textures were nicely mixed together. All in all a winner! Oui ça coupe très bien le voyage de faire étape en Bourgogne!